Graphites 3x: Scabs and fissures in nostrils. 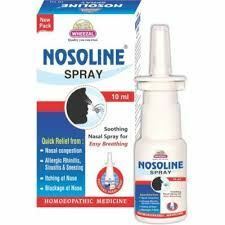 It is a most useful remedy in chronic nasal catarrh. Very painful dryness in the nose. The bones and cartilages of the nose become very sore to touch. Sneezing and fluent coryza. Fissures in the nostrils that burn. Hydrastis Can Q: Catarrhal symptoms with thick, viscid, ropy, yellow mucus, sometimes white, The nose is obstructed with stringy, yellow or white mucus. Large crusts constantly form in the nose. Sanguinaria N. Q: Nasal polypi. Coryza, followed by diarrhea. Chronic rhinitis; membrane dry and congested. Nose and pharynx fill with mucus. Kali Bich Q: Pressure and pain at root of nose, and sticking pain in nose. Tough, elastic plugs from nose; leave a raw surface. Inflammation extends to frontal sinuses, with distress and fullness at root of nose. Coryza, with obstruction of nose. 3 to 5 drops to be instilled in nose 3 time in a day or as prescribed by the physician.